So what’s been going since my last post (before last)? A whole lotta hibernating, a quick jaunt to the Sunshine State Golden State, and a lotta recipe trying. (yes, there was a typo here, it was partially a reference to Dumb and Dumber and partially a typo I couldn’t change due to stringent firewall protection – I apologize to any Sunshine/Golden State inhabitants this offended, please accept my apologies). I already complained about the weather, some of you may have heard the Garden State was a part of the Polar Vortex. Horrible, just horrible. The snow never stopped, ever. This enabled me to do a lot of marathoning. Not the running kind, the Netflix kind. Watched House of Cards Season 2, started and caught up with House of Lies, and Scandal. Needless to say I’ve picked up a few addictions. There was also some SERIOUS downtime for some intense home manicures. Due to a need for escape (both mentally and physically) hubs and I flew our booties out to California where our dear-dear friends live. You know those kind of friends that you feel are super close to you but then when you want to hang out you realize they’re 3000 miles away? Yeah, that’s them. We picked up right where we left off and it was glorious. Unfortunately it was that one weekend it rained in LA and it was anything but the Sunshine State. Didn’t matter though, we had a blast. I also scored some sassy along the way (two steals and a splurge)….. Yes, this chair exists, no I do not own it. (Waiting patiently for it to be an appropriate time on the West Coast to harass my friend about where we were). Maybe I should have a fundraiser for myself to have this chair? (kidding!) – – all I remember was there was a comma and a lotta zeros on the price tag and I think hub was pacing outside looking for somewhere to get meat. As far as recipes go, I’ve found that just because its “health conscious” it doesn’t need to be tasteless or unsubstantial. Making things spicy is my first tip and adding extra veggies is my second. And of course… the dreaded portion control. Anyone find any health conscious yummers recently? This entry was posted in A Peek Into My Closet, Cheap and Chic, Fashion, Food and Drink, Personal, Shoes, Shopping and tagged a peek into my closet, about me, asparagus, boots, breakfast, breakfast recipe, california, cooking, fashion, favorite recipes, healthy, healthy cooking, high fashion, home, home and garden, lucky brand, manicure, miu miu, pasta, recipes, shoes, shopping, snow, sunglasses, taco, tacos, zara. Bookmark the permalink. That chair is to die for… I’d donate to your fund raiser, for sure! 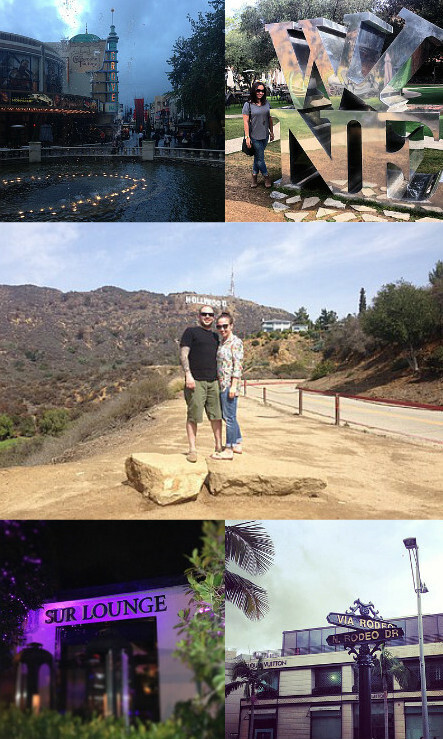 LA is my home town, so seeing those pics makes me kind of homesick. So glad you got to enjoy some California down-time, even if it wasn’t sunny. Sometimes just getting away makes all the difference!